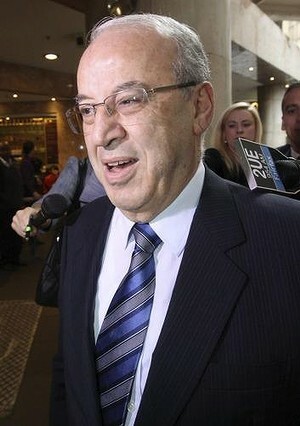 TTN: A lack of EFTPOS facilities and incomplete financial records have gone further to prove Eddie Obeid’s guilt. The former Labor minister faces charges over corrupt management of valuable hospitality licenses at arguably Australia’s most iconic tourism hotspot, Circular Quay. Every single customer who visited three lucrative Circular Quay cafes run by the Obeid family’s failed front company paid with cash, according to its limited financial records. Circular Quay Restaurants, at the centre of just one of the several inquiries into the affairs of the corrupt former Labor powerbroker Eddie Obeid, operated three waterfront cafes for about a decade after securing the government leases for $2.4 million in late 2002. The company went into liquidation earlier this year, owing taxpayers almost $1 million in unpaid rent and other costs. But its liquidator has expressed disbelief that no customer ever paid by card, according to the company’s bank records. In his report to creditors, Frank Lo Pilato noted that a review of the company’s bank statements found that the cafes received no income via eftpos facilities. “Given the nature of the company’s business, I would expect that a significant amount of the company’s sales would be receipted via eftpos and credit cards,” the report said. Mr Lo Pilato also said there appeared to be no daily or weekly accounting of cash deposits from sales into the company’s bank account. “These transactions and the process by which the company accounted for sales in cash and eftpos need to be reviewed in detail,” the report said. Last year’s corruption inquiry, which heard Mr Obeid lobbied colleagues and bureaucrats for concessions without disclosing his family’s secret interest in the cafes, offered the first public insight into Circular Quay Restaurant’s cash flow. 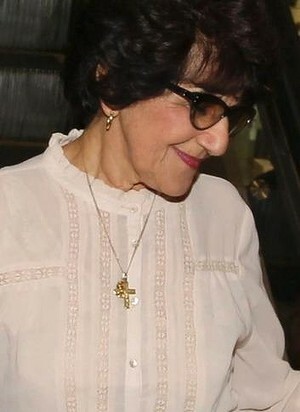 The family’s matriarch, Judith Obeid, was given a $1000-a-week “housekeeping fee” out of the cash takings from the business, it heard. More than $30,000 in cash was also found in a safe when the Independent Commission Against Corruption executed a search warrant of the family’s Birkenhead Point headquarters. Circular Quay Restaurants director, Paul Maroon, was heard telling ICAC officers during the raid that the money was from the previous five days’ takings from the cafes. 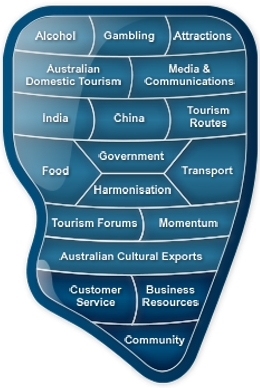 Fairfax Media has previously revealed the family’s quayside connections did not end when Circular Quay Restaurants was evicted from the two Road and Maritime Services premises in 2012, and relinquished ownership of the third, Arc Cafe, last year. 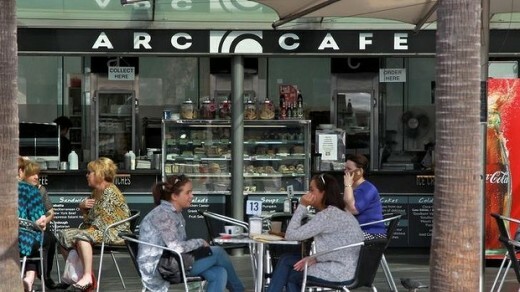 The site’s landlord, the Sydney Harbour Foreshore Authority (SHFA), allowed the company to transfer the Arc Cafe lease to the Obeid’s relatives, the Schibaias, for $150,000. That arrangement finally comes to an end this month. Mr Obeid’s nephew Peter Schibaia and Mr Schibaia’s 24-year-old daughter, May, will be required to vacate the premises by November 30, as it is to be demolished as part of the redevelopment of east Circular Quay. “SHFA undertook investigations before consenting to the assignment, as per standard due diligence in the assignment of all leases,” said a spokeswoman, who added the agency had referred the transfer to ICAC “for abundant caution”. But Mr Lo Pilato, of RSM Bird Cameron Partners, told creditors that his investigations into the sale of assets to the Schibaia Group were “ongoing”, and would continue if they provided funding. “I intend to conduct a public examination to determine whether the assets were sold at arm’s length and for valid consideration,” he said. Soft drink manufacturer Coca-Cola, one of about a dozen creditors, took action in March to wind up Circular Quay Restaurants over a $108,000 debt. However, the Obeid Corporation, which – like Circular Quay Restaurants – is based at the Obeid family’s new Gladesville headquarters, is claiming that it is owed more than $1.3 million, according to the report. It is yet to provide any proof to back up its claim. That amount would dwarf the $977,814 the company was ordered to pay to the NSW taxpayer by way of unpaid rent and costs to Roads and Maritime Services. Mr Lo Pilato’s report notes Mr Maroon blames its financial difficulties on high rent and the RMS repossessing two of its premises, Sorrentino and Quay Eatery. But the liquidator attributes the business’s failure to “under-capitalisation, poor financial control, lack of financial records and inadequate cash flow”. He also notes the company appears not to have complied with the Corporations Act “in relation to maintaining its books and records”. Emanueli Oliveri, who is acting for Coca-Cola, said it was considering the report, which it had just received. The RMS would consider the report and its position, a spokeswoman said.